Everything worked as expected. I recommend this product without any doubts. Usefully adapter to check cars with kkl or OBD-2. I used Scan soft and it shows me the errors on ..
Good cable. I using this for diagnose mercedes W124-W210. Based on FTDI chip(fast speed rate), wor.. 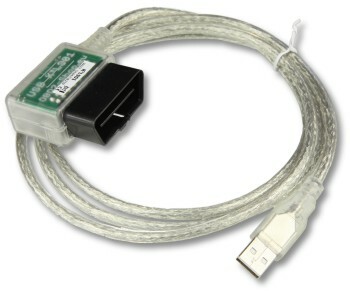 Very good USB KKL for diagnose old mercedes W124,W202,W210 and etc. Using this KKL with cables: "..
short-circuit the device processor. I would like a better quality of work in my experience with th.. Very good USB KKL for diagnose old mercedes W124,W202,W210 a ..